We have updated our website and are finalizing our field production, crop rotation and green manure plans – the season’s seed packs are sitting on our desk, waiting. AND SO IT IS THAT WE ARE HAPPY TO ANNOUNCE THE START OF OUR 2018 CSA BASKET SEASON! In a previous note, we mentioned that we were growing weary of this winter, its yo-yoing temperatures and its crazy precipitations (as I write this, our fields are green). So we’re putting a cross on winter and decreeing that spring has arrived at Arlington Gardens: we are ready to go. The 2018 season is looking to be exciting. Deliveries will begin June 13-14 and end October 24-25 for the 20-week Regular Season (Wednesdays & Thursdays); those wishing to go longer – i.e. to November 21-22 – can sign up for our 24-week Extended Season (one more week than last year). 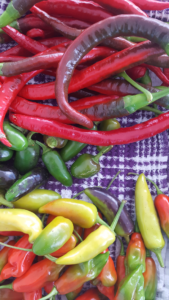 The 17-week Atwater Farmstand Season will start July 6, 7 or 8, depending on the market day selected (Friday, Saturday or Sunday), ending as the market closes for the season, October 26, 27 or 28. The Atwater Farmstand Season can be extended by selecting an alternate delivery location pre- and post-Farmstand Season: instructions to that effect are provided if/when you sign up for our Atwater location. 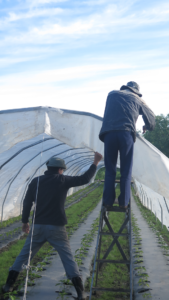 On the vegetable front and to ensure we do not run out of Italian tomatoes at the peak of the season (you may recall the wet, rainy summer we experienced in 2017), we have invested in new hoophouses. 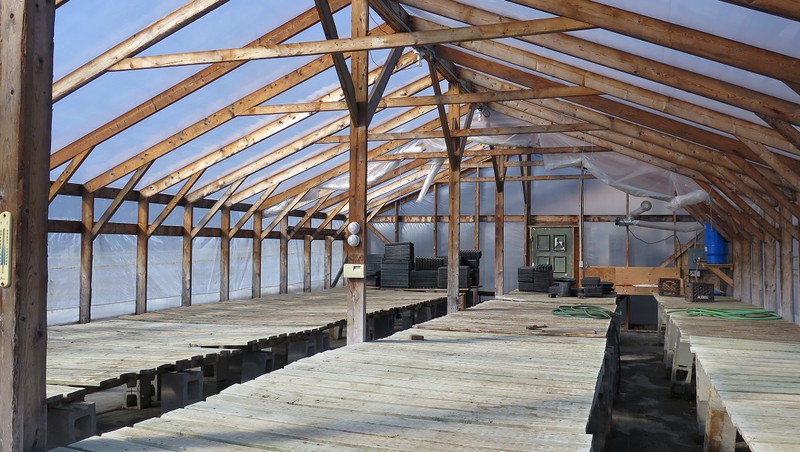 All our solanaceas will be grown under these mobile greenhouses, installed in the spring and dismantled in the fall. We continue to explore new vegetable varieties, ranging from ongoing trials in the fascinating world of Asian greens or, better still, in that of the tomato, a prototypical summer crop if ever there was one. We’re hoping for a ‘normal’ spring, in order to ensure strawberries in your early baskets and blueberries later in the season. This year we’ll be bumping up our watermelon production in order to give you more in August and early September. For the third year in a row, we will be delivering the sourdough organic breads of Capitaine Levain along with our produce baskets. We do not manage their sign-ups, but we invite you to visit their website and/or to sign up for their organic bread basket.